"A huge sleeping gold mine is sitting there for you to discover. There are more than 1,600,000,000 bicycles running on our earth today, we have a simple way to convert them into zero pollution electric bikes easily with Golden Motor's patented hub motor drive technology. We will establish 500 global dealers within two years. We make sure every dealer covers at least 500,000 populations. Hurry up today before your territory is been taken by another new dealer rather quick." Above table shows the real hits to www.goldenmotor.com captured in July 2013, and is still rapidly growing month by month! The data is provided by cPanel from hosting server located in USA. 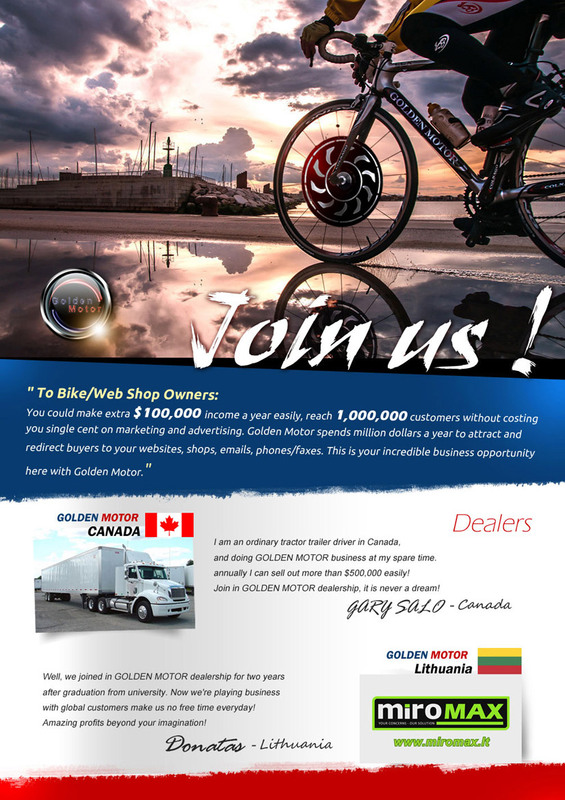 "Our website (www.goldenmotor.com) attracts and redirects over 5000 potential buyers daily to our dealers worldwide! The number of hit to our website reaches 150,000 daily now, without paying SEO services. 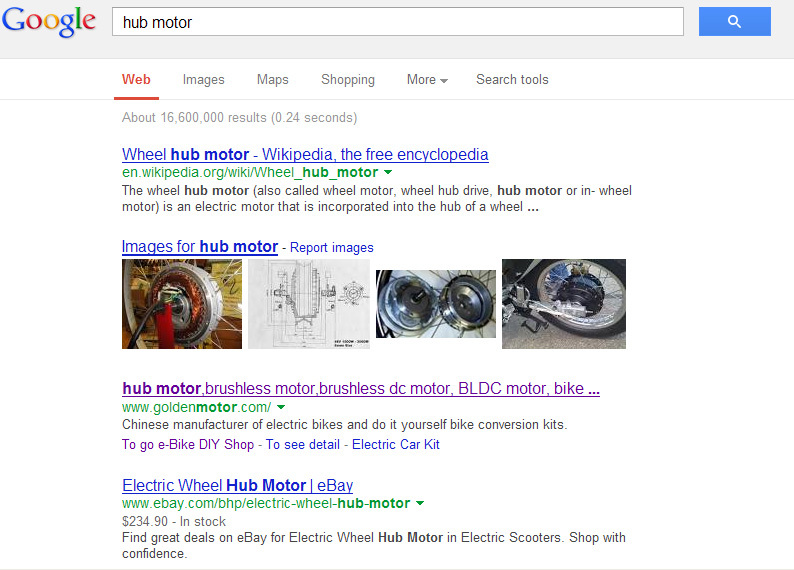 You may need to pay Google $100,000 a month to get same number of hits and marketing effect. Now you get it for FREE with Golden Motor." "With impeccable timing, amazing products, kick start your simple profitable business safely. Choose Golden Motor, the real leader in this EV industry. If you are owner of websites or online forums, or influential forum member, you can start this business right away without having stock of our products, we provide door to door drop-shipping directly to your buyers. You will be busy to receive local customer orders/calls and start making profit the same day, when you join our dealership program and get listed on our dealers page on our very popular website." 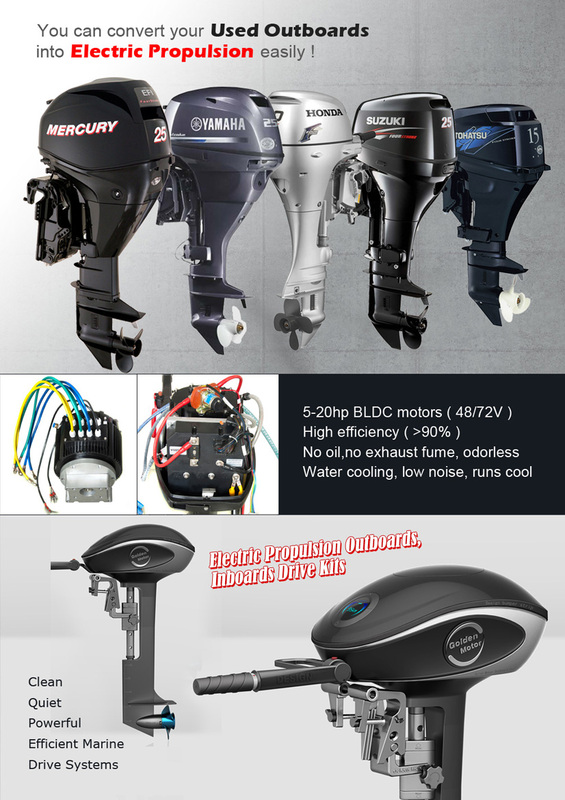 GoldenMotor offers a full range of products. We also supply parts and accessories, as well as compatible replacement parts. 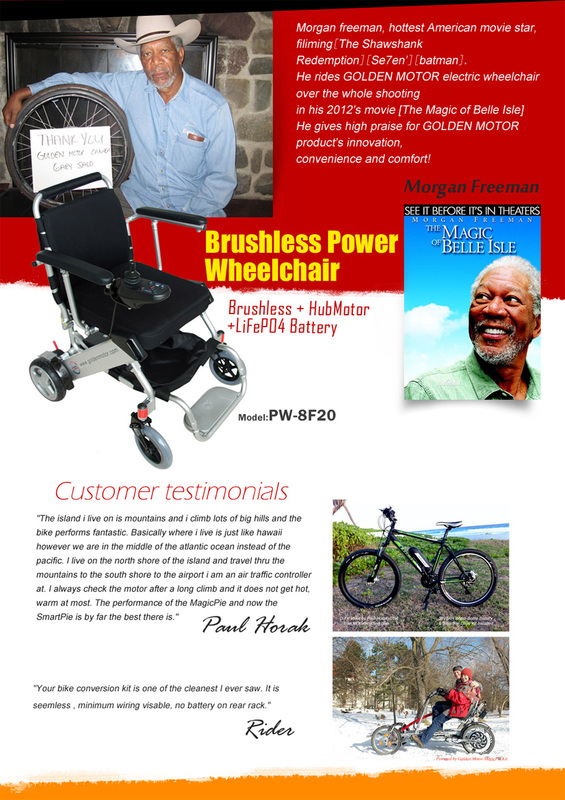 Customers can buy complete electric bikes,power wheelchairs, highend battery packs, electric Motorcycle motors, electric Car motors, as well as their compatible controllers. With all this said, you need not look elsewhere trying to find a compatible part or accessory. 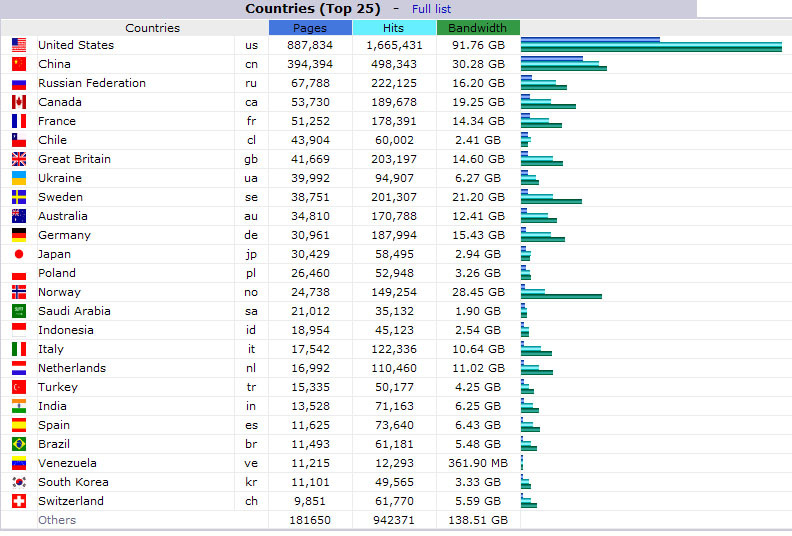 Here is the history of web traffic statistics of Golden Motor for last 10 years. These are hard evidences of growth pattern of our business. There is no need for you to do costly global marketing. 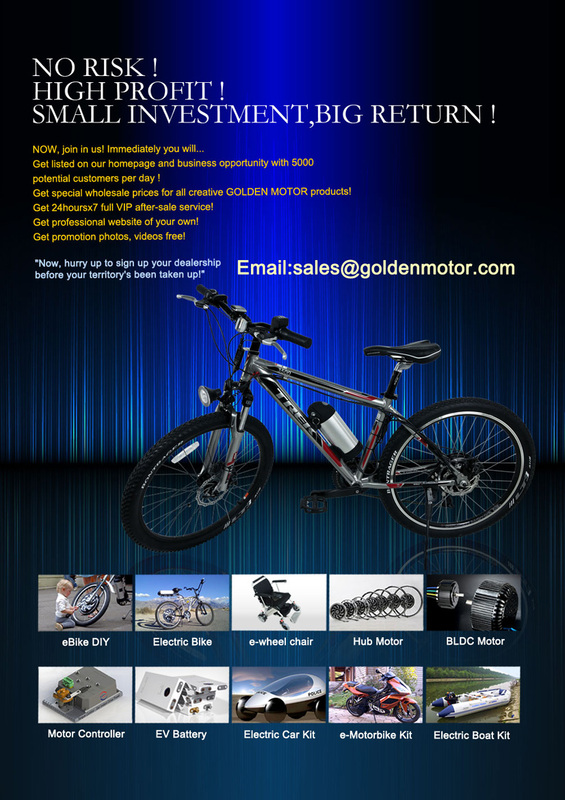 GoldenMotor will pump up your sales for you by advertising, attending international trade shows and tactical promotions. All that you require to do is to demonstrate and promote products, and provide after sales services locally. We will also list your contact or URL on our main website so that your local consumers can find you easily. 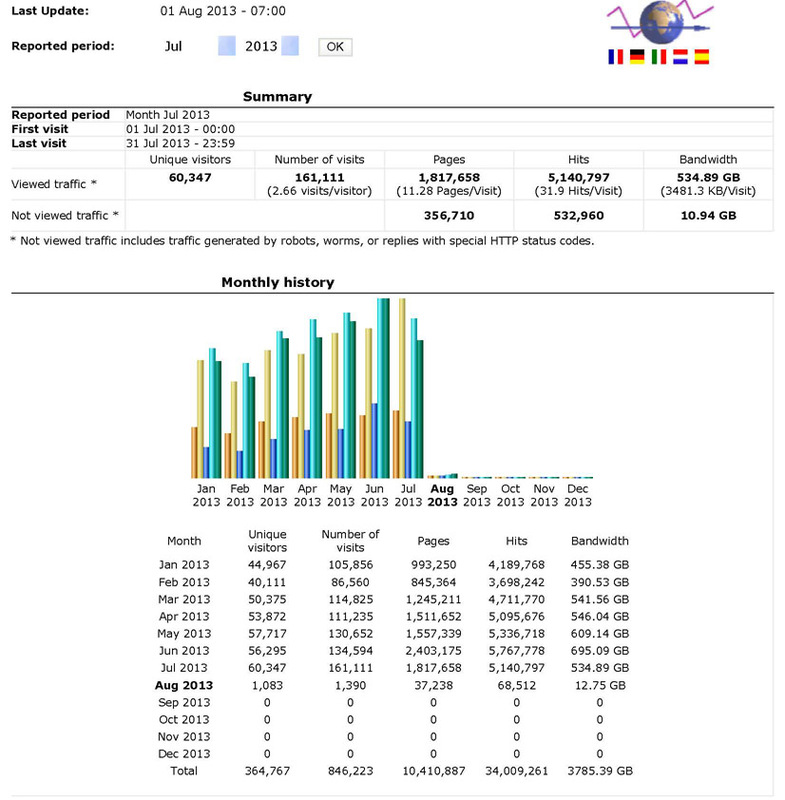 Our web traffic has being increased rapidly and steadily since year 2000 when www.goldenmotor.com was initially created. The number of unique visitor to our website reaches 60,000 monthly now. They will contact you and buy products directly from you through the listing as they normally prefer to buy products locally with local support. You may need to spend thousand dollars to get such volume of web traffic, but now you can get it for FREE from GoldenMotor.com. As a Golden Motor global dealer, you can freely use all materials published on our website, photos, videos, articles for your local business promotion. You will not get such unfair advantages from other suppliers. As our factory is located in China with more than 15000 sqm manufacturing facilities, we offer unbeatable discounted prices to our dealers so that we can maximise our benefits together. We have a strong research team that has been constantly pumping out new innovative products such as the patented Magic Pie and the HPM5000B High power brushless motor and it's controller. 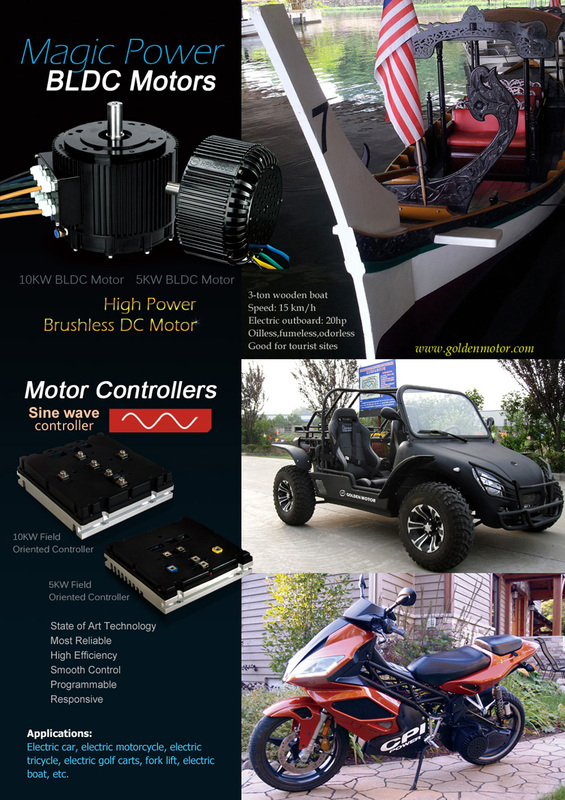 Golden Motor try to be one-stop solution provider of drive modules for all kind of personal electric vehicles(PEV), or even electric boats. This means that your stores will constantly be filled with the latest products from us. We will setup local centralized warehouses and technical support offices for Europe and North America dealers, to provide drop shipping services to local dealers. Our dealership network is flat to maximize profit margin to each dealer regardless of its sizes. No risk no gain? We offer no risk but gain!